[KSL3] Ro16 Day 2 - Group B Opening Matches [KSL3] Ro16 Day 1 - Group A Opening Matches LMaster's All-Stars 3: The Grudgening KCM Season 10~! Weird SC2 issue Computer Build, Upgrade & Buying Resource Thread Printer keeps printing the same pages. Although no details have been announced, including how many Cups there will be over the course of next year, it has been confirmed that StarCraft 2 KeSPA Cup will be returning in 2016, and will include WCS points. Very good news. Hopefully we get one very soon because we were supposed to get 3 last year. This is why its always best to wait and see instead of freaking out about "SoS missing 25% of Korean tournaments already!" Dream as if you'll live forever, live as if life ends today. KeSPA never promised 3 tournaments. The one right before lotv transition? Mura Ma Man, Dark Da Dude, Super Shot Sos! So how will these fit into the new WCS system, will they be part of wcs Circuit (which I've come to understand is supposed to be mostly foreigners with requirement of Residency/citizenship) or will they be part of WCS korea and the Points gained will be added to the tally between kespa cup- GSL and SSL? Didn't know that that wcs Circuit would include tournaments in korea, will make it pretty wild. 한국e스포츠협회가 주관하는 KeSPA컵 스타크래프트2 종목의 대회가 세 차례로 확대된다. KeSPA Cup SC2 Tournaments, run by KeSPA, will be upsized to 3 seasons. KeSPA는 2015 시즌에 국내 활동 선수들에게 보다 많은 WCS포인트를 제공하기 위해 단기 토너먼트 KeSPA컵을 3회로 확대 개최할 예정이다. In KeSPA Cup 2015, It's planned to be held for 3 seasons to provide more WCS Points for Korean players. ... 12일 e스포츠업계에 정통한 관계자는 "한국e스포츠협회가 올해 3회 진행하기로 했던 KeSPA컵이 당초 예정과 달리 2회로 축소 진행될 가능성이 높아졌다. ... 12th March. an interested person said "It seems KeSPA Cup will be downsized to 2 seasons, which is proviously planned for 3 seasons. 1st tournament -scheduled for late Fed to early March- was cancelled due to lack of communication with Blizzard, promised to accredit (as a WCS tournament). So they originally planned to hold SC2 KeSPA Cup for 3 seasons a year. But one of them was cancelled. 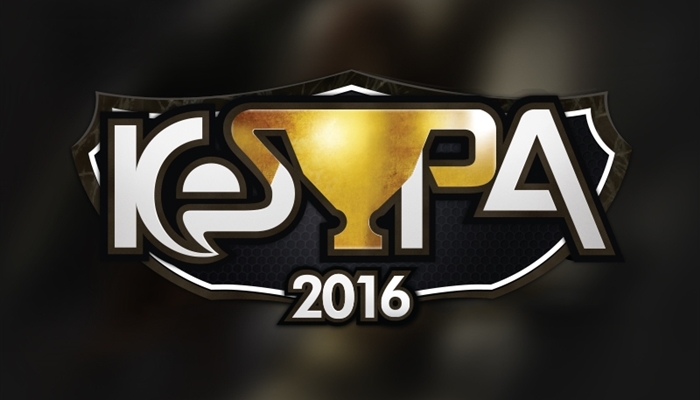 So i think LoL KeSPA Cup is not one of em, but i'm not sure how many seasons will be held in 2016. A man cannot be too careful in the choice of his enemy. They said from start "3 Kespa tournaments". They did 3 but last one was a LoL tournament. If you carefully read the articles above i posted, you'll learn the first article says they were SC2 tournaments and the second article says the about tournaments downsized to 2 seasons. If KeSPA planned to hold LoL KeSPA Cup or other game's tournament at that moment(early 2015), the articles must not say they were SC2 and one tournament was cancelled. Korean Scene is so screwed for those who are not consistent Top 8 players that can qualify for at least either GSL or SSL. Oh, and Terrans are royally screwed in any qualifier currently, but they should just micro better I presume /s. There needs to be at least double the Kespa cups of last year to make up for the missing 3rd season. The timing of the 3rd (LoL) 2015 KeSPA cup was in the middle of LotV launch, so I'm not sure how good it would have turned out anyway. I'm glad to hear it's confirmed for 2016. But he missed already the 25%. If the GSL and SSL tournaments are awarded with points on the same level as WCS seasons compared to other tournaments, it is probable, that the winner of any Kespa tournament will not qualify for BlizzCon unless he also ends 1st or 2nd in GSL or SSL.